The free screening in Auckland has come and gone but if you are interested in electromagnetic radiation (EMR) and health, please sign up to the email lists at www.stopsmartmeters.org.nz and www.safespace.net.nz to be notified of future events in NZ. If you are in Australia, if you are not already a subscriber, please sign up to the email list for www.naturalmedicine.net.nz and you will be notified of events relating to natural health, including those relating to EMR and other environmental issues. The NZ Journal of Natural Medicine frequently reviews books or DVDs relating to EMR. 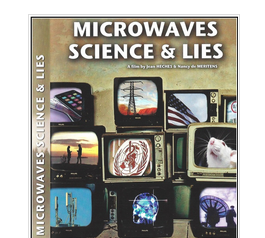 Microwaves, Science and Lies is reviewed in issue 14; this issue can be purchased through our online store at this link www.naturalmedicine.net.nz/store/. An opportunity to see the excellent film Science, Microwaves and Lies is coming up at the end of October.